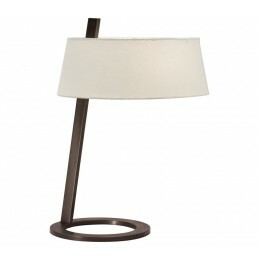 Lina Table Lamp answers the need for a lamp that leans over a desk or reading area. The stem is anchored at the heavy ring base and rises through the shade's inner rim, creating a simple form with optimized reach. 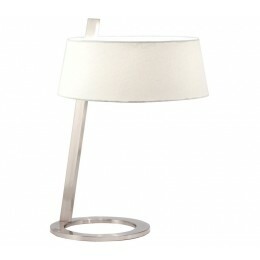 Lina adds smart sophistication and function to your contemporary space. 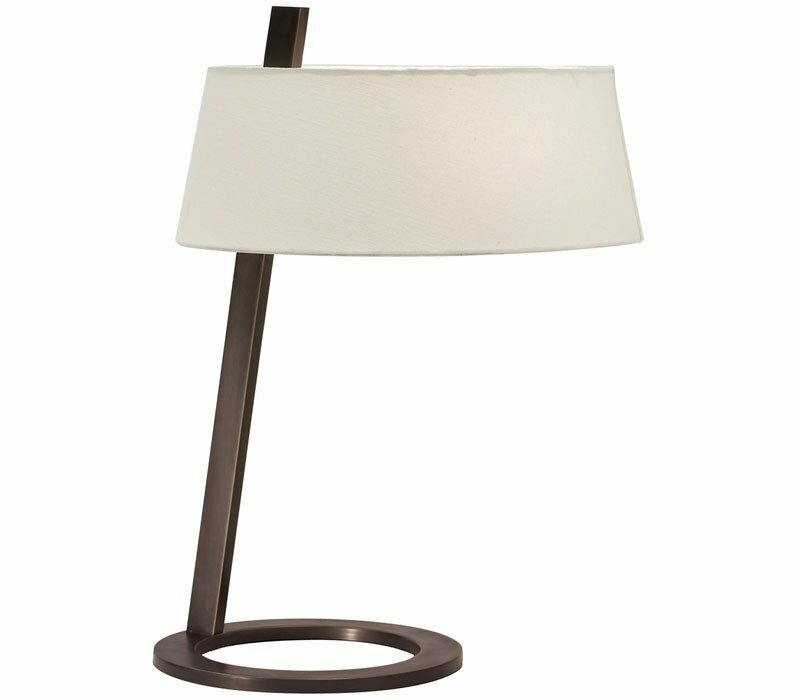 The Sonneman 7098.51 Lina collection Table Lamps in Black Brass use Halogen light output and bring Modern style. This item is 23.5"H x 18"W x 16"L. The wattage is 120. The Sonneman 7098.51 requires 2 bulbs (not included). Additional Information: Shade-Off-White Linen Shade; Control-3-Way Pull Chain Switch.